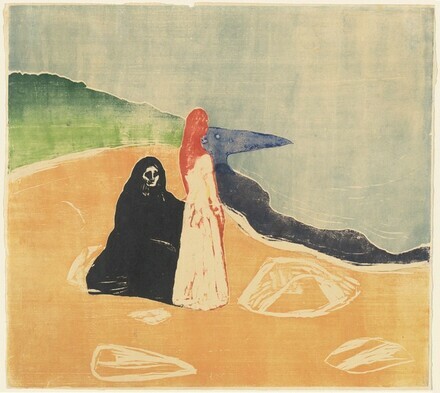 The Unfinished Print, National Gallery of Art, Washington, 2001, as Two Women on the Shore. "Edvard Munch -- Theme and Variation", Graphische Sammlung Albertina, Vienna, 2003, no. 108.